Arizona Cardinals: David Johnson, RB– Don’t let a “down” 2018 fool you. Johnson is an elite running back in the NFL and with an improved offense, he can regain his top 5 production and he is entering his age 27 season. Atlanta Falcons: Calvin Ridley, WR– Yes, I know Julio Jones is basically a god on the football field, but he is 30 and history says, he will drop in production. Calvin Ridley on the other hand is just 24 and had a great rookie year. Considering Sanu should be out of the picture relatively soon, Ridley can enjoy WR2 or better numbers for years to come. Baltimore Ravens: Lamar Jackson, QB– In all honesty, this spot will probably be taken by whoever the Ravens draft with their first pick. Whether it is a running back like Josh Jacobs, or a wideout like N’Keal Harry. As of right now, Jackson is the pick as he is the most electric player in this offense and can rack up points at the QB position. Buffalo Bills: Robert Foster- WR– The rookie came onto the scene in 2018, showcasing his big play ability. If the Bills commit to playing him regularly, you can be looking at a Robby Anderson type upside. The additions of John Brown and Cole Beasley take away potential targets, but Foster doesn’t need many targets to have an impact. Oh, and he is only 24. 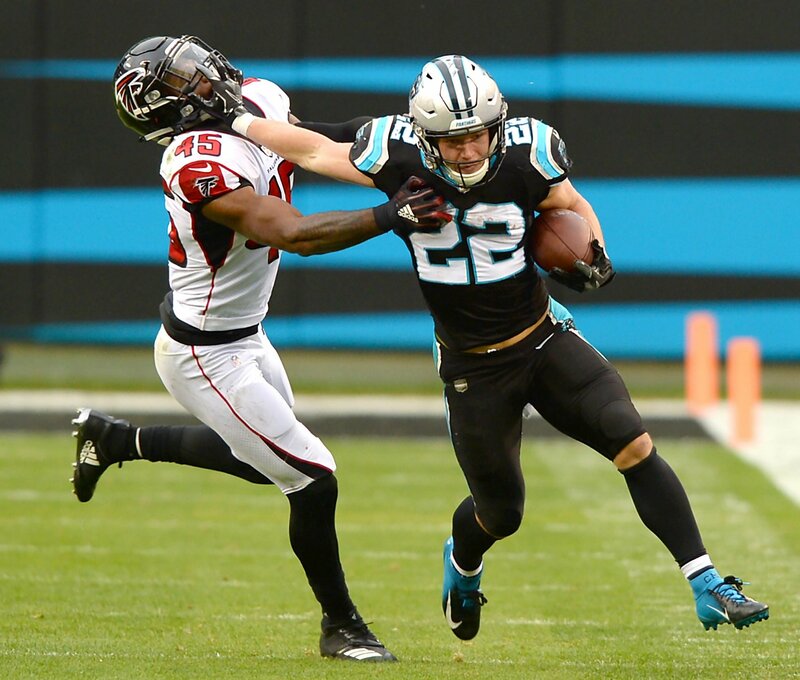 Carolina Panthers: Christian McCaffery, RB– Shout out to D.J. Moore as an honorable mention, but CMAC is one of the best dynasty assets in the league. People forget this guy is only 22 years old and is an absolute stud. Given his elite production in total yards, the floor for McCaffery is one of the highest in the league. Chicago Bears: Allen Robinson, WR– This is a debate between Robinson and fellow wideout Anthony Miller. I went with Robinson considering his production in the NFL and target share. He is also only 25 and is now playing in his second year in the Bears’ offense. A 2019 leap into the top 15 will not be a surprise. Cincinnati Bengals: Joe Mixon, RB– A tremendous sophomore year has Joe Mixon in a great position for the future. At only 22 years old, he offers a rare chance at a high floor and ceiling. If he can expand his pass catching, he will vault into the top 5 in running back rankings. Cleveland Browns: Odell Beckham Jr., WR– This was a tough choice as Mayfield, Chubb, Hunt, and Landry could have been a good pick here. Odell is just a different talent. He offers the highest upside of any receiver in the league and with a good quarterback, the best is yet to come. He might not see the 10 plus targets every game, but his efficiency should sky rocket and we could see a top scoring year from a guy that is just entering his prime. Dallas Cowboys: Ezekiel Elliot, RB– A year ago this wasn’t even a question, however Amari Cooper deserves a second look. Make no mistake though, Zeke will continue to eat for years to come. Armed with a good offensive line and dual threat ability, Zeke will be among the top 5 running backs for the next couple of years. Denver Broncos: Courtland Sutton, WR– This one was tough due to the lack of talent in this offense. I am not a Phillip Lindsey believer and Sanders is too old. Sutton has great size and ball skills and can be used all over the field. I see a little Mike Evans in the sophomore receiver and with a gunslinger in Flacco, we could see Sutton approach top 20 value. Detroit Lions: Kenny Golladay, WR– One of my favorite dynasty players, Golladay is a game changer at the wideout position. At 25 years old, he is just now entering his prime and is now the number one wideout in this offense. I believe 2019 will be the year we see a 1000 yard season from Golladay. Green Bay Packers: Davante Adams, WR- Adams showed out in 2018 and was the best WR based on value. He finished as a top 4 wideout depending on scoring and was an elite source of production at the receiver position. Only 26, and catching passes from Aaron Rodgers means Adams should be once again a coveted fantasy asset for years to come. Houston Texans: DeAndre Hopkins, WR– Nuk has been on an absolute tear the past couple of years and with Watson continuing to improve, Hopkins might be the safest first round wideout. At only 26 years old, he offers a floor of 100 catches, 1100 yards, and 8 touchdowns. That is absolutely insane and there is no better dynasty wideout than DeAndre Hopkins. Indianapolis Colts: Marlon Mack, RB– This pick is all about the upside. Marlon Mack has had an up and down career so far, but he is only 23. The Colts decided not to bring in any competition thus far and if Mack can secure the lead role in this offense, he will be a stud. He is an explosive runner and 2019 might be the year we see the breakout from Mack. Jacksonville Jaguars: Leonard Fournette, RB– 2018 was a down year from Fournette and he might be overlooked in dynasty communities. His running style doesn’t translate well for extended shelf life, but he is only 24. While often injured, we are talking about a guy that will rush for over 1000 yards and can push for 10 plus touchdowns every year. If he can continue to work on his passing game and stay healthy for most of the season, we have a top 10 RB. 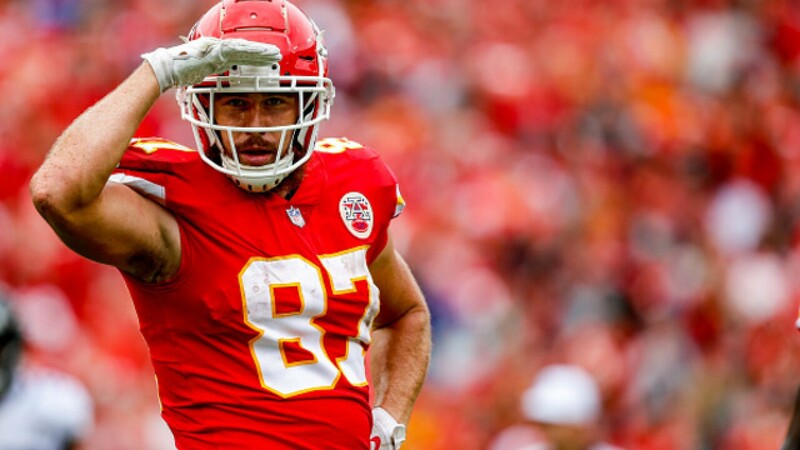 Kansas City Chiefs: Travis Kelce, TE– The best tight end in the league deserves this pick. Even though Mahomes and Hill will have more points, positional value has to be taken into account. Having the best tight end, who is 29, ensures you will not be searching the bottom of the barrel for points at the position. Kelce should be a top 3 tight end for years to come and that is production you rarely find at the tight end position. Well those are the picks for the first 16 teams in the NFL! Did anyone get snubbed? Look out for the next 16 teams in the next article. Previous Phillip Lindsay: Top-10 RB Finish in 2019?